In a bowl place a portion (140g) of fries on the bottom and top with a portion of cheese curds (114g). 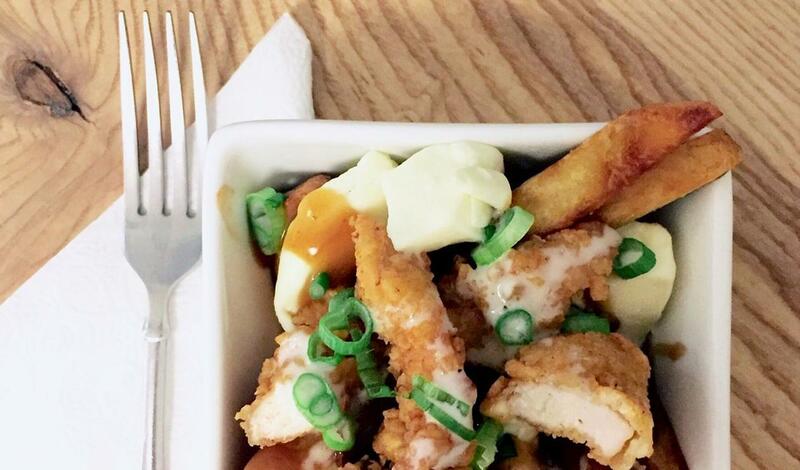 Ladle 125 ml of the preparedKnorr® Poutine Gravy on top of the fries and cheese curds. Add 115g portion of chicken filets on top and drizzle with 40ml of the Ranch sauce.